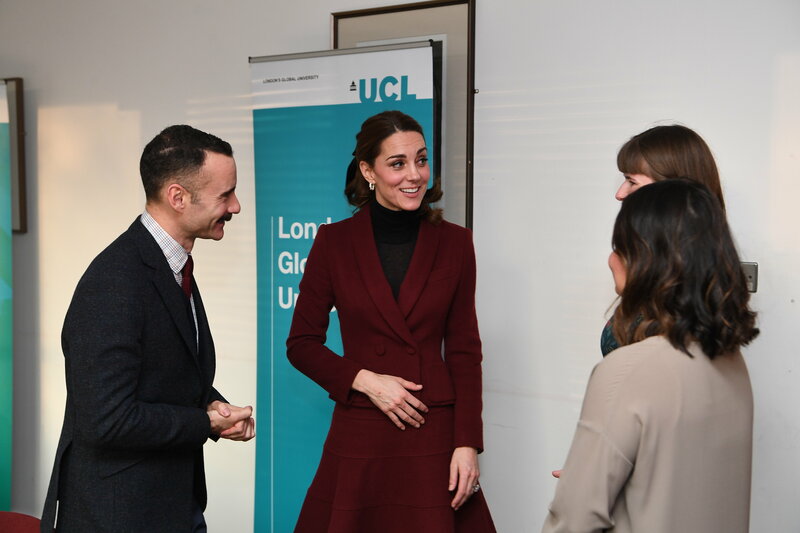 The Duchess of Cambridge visited the Developmental Risk and Resilience Unit at the University College London (UCL) today to see the groundbreaking research neuroscientists are conducting into how environment and biology interact to shape the way in which children develop both socially and emotionally. support Early Intervention for young children and families. 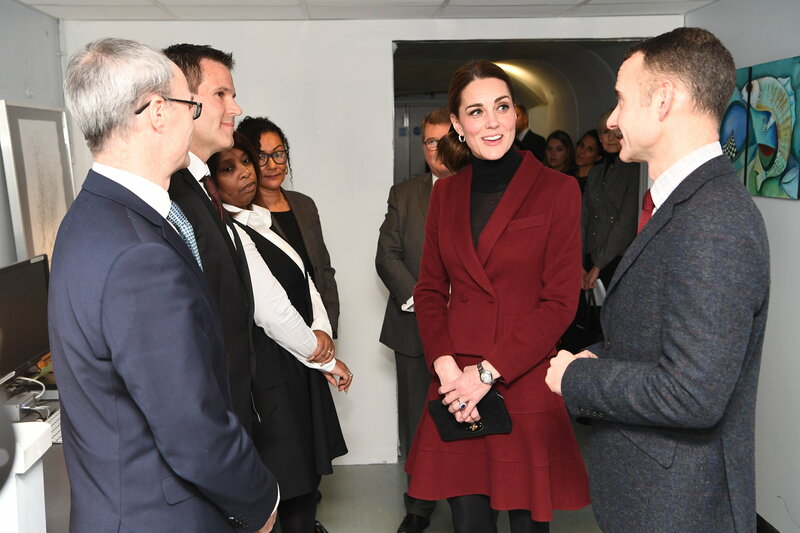 Kate wore a familiar look for the visit, sporting her burgundy Paula Ka skirt suit. The Duchess first wore the outfit by the French brand for an engagement in 2012 at Middle Temple in London, and again in 2017 for a trip to Wales. Like in 2017, Kate wore it with a black turtle neck top but today she updated the ensemble with her black Tod's Suede Block Heel Pumps. We saw the return of her much loved Mulberry 'Bayswater' Black Suede Clutch. The Duchess accessorized with the Asprey London Oak Leaf Small Hoop Earrings, and also wore her Cartier Ballon Bleu Watch. Kate wore her hair pulled back in a playful ponytail and tied with a black velvet ribbon. It is possibly the J.Crew black velvet hair tie (US$22.50) as suggested by @Palace_Avenue on Twitter. The Duke and Duchess of Cambridge, along with the Duke and Duchess of Sussex attended the annual Royal Foundation dinner at Victoria House in Bloomsbury Square last night. It is a private event and we don't usually see photos, however, this year's performer Tom Walker shared a few photos on his Twitter and Instagram account. Kate wore the red Preen by Thornton Bregazzi 'Finella' satin midi dress first seen during the 2016 Royal Tour of Canada. Kate again carried the Jenny Packham 'Casa' clutch rendered in red pony hair (stock photo only available in blue). 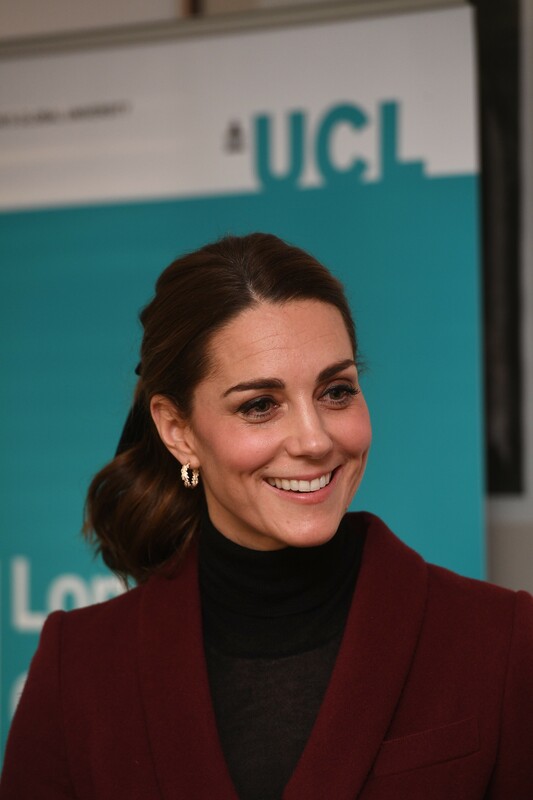 The Duchess debuted a a new pair of statement earrings which have not been identified. 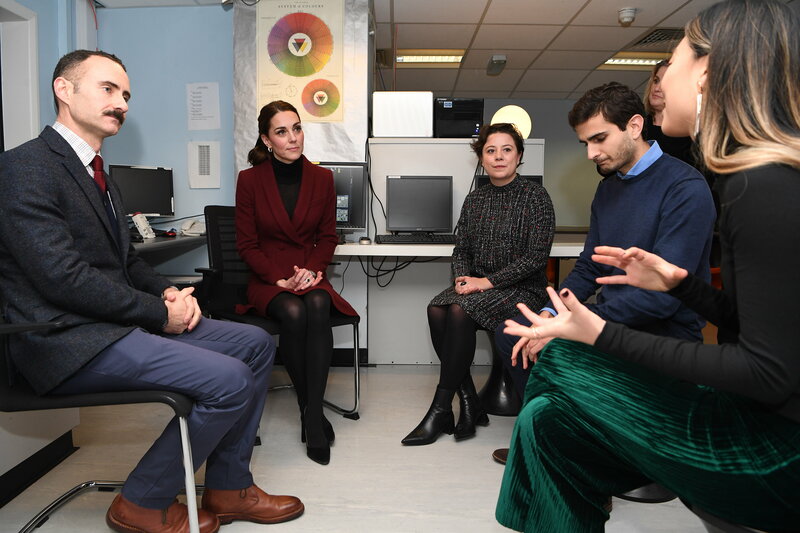 To mark Anti Bullying Week, The Duke and Duchess of Cambridge visited the BBC headquarters in London today to see the work the national broadcaster is doing as a key member of Prince William's Taskforce on the Prevention of Cyberbullying. Kate was in a familiar frock. 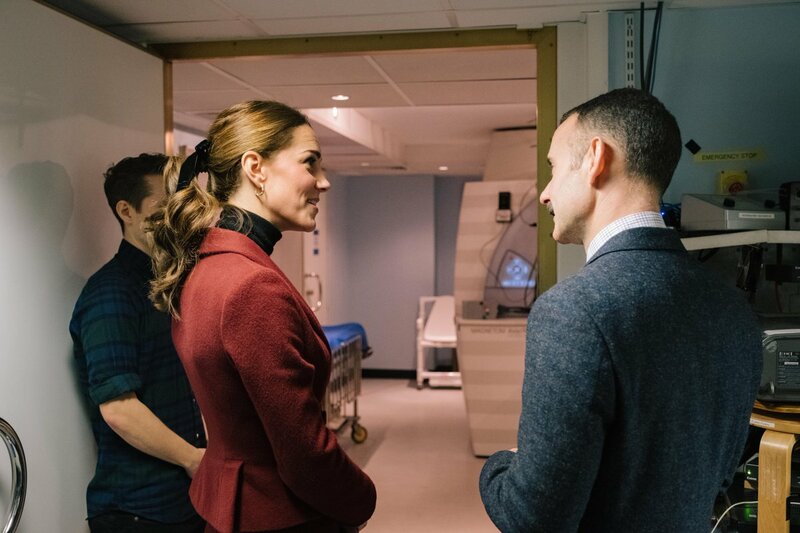 She wore a teal Emilia Wickstead pleated coatdress which she debuted in New Zealand during the 2014 royal tour, and wore again in December 2015 for a visit to an Action on Addiction Centre. You may recall, the Duchess also own this style in pink which she first wore in 2012. On her feet, Kate wore her Gianvito Rossi 'Gianvito 105' Black Suede Pumps. The Duchess finished the outfit with her Asprey London Oak Leaf Small Hoop Earrings and Cartier Ballon Bleu Watch.